It may only be November, but the New Year isn’t far away. There are plenty of new things that come about when the calendar changes, and you may have grand plans for your home in 2017. A major part of those plans might be the lighting, and if it is, it’s important to find the fixtures that you want so you can create the rooms where you’ll enjoy spending time. You may have put off updating your fixtures because of several reasons, whether it was time, money, or another factor, but the New Year is a great time to finally tackle those upgrades. At Hortons Home Lighting, we can help you find the fixtures you want and create the lighting design that will make your home feel like new. It can be fairly easy to find one or two fixtures for each room of your home, but it’s important to approach your lighting project with scale in mind – too broad and you can become overwhelmed, and too narrow and you can miss out on great fixtures that would look amazing in your home. You may want to decrease the number of fixtures in a certain room, while increasing the fixtures in another, and knowing where you want to focus can help you begin your lighting update with the right frame of mind. We don’t want you to lose sight of the new lighting design, but thinking of how you can improve each room one step at a time can make your project more manageable, not to mention less stressful. Another way to think of scale is the physical size of the room to which you’re adding or subtracting lights. If your large family room is the focus of your new design, then you’ll want to take into account how long, wide, and tall the room is, and whether one more fixture above the couch or one less fixture above the TV will make the space more interesting. Less can be more, but if you end up with too many dark corners and shadows, the room can feel uncomfortable and uninviting. Our expert team will help you strike the perfect balance, and recommend the best fixtures for your particular style and preference. One thing you may want to do in the New Year is finally turn that spare bedroom into a home office or transform that unused basement space into a home theater area. Whatever your plans are, lighting should be at the top of the list. 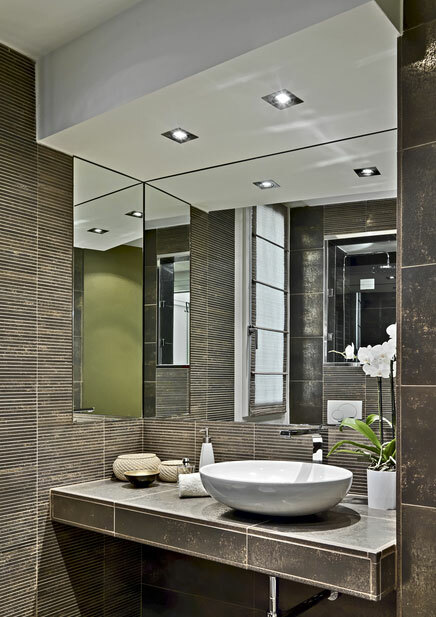 Interior projects such as these are great for January in Chicago, and we’ll gladly give you the guidance you need to decide on fixtures and get to work on installing them. Instead of a half-finished space that doesn’t quite feel right, you’ll love sitting down to work at your desk, the new high-output fixture shining overhead, or relaxing by watching a movie at the end of the day, the theater-style wall sconces perfectly dimmed to your desired level. If you have plans for a new lighting design in 2017, come to Hortons today to find the very best fixtures and controls!